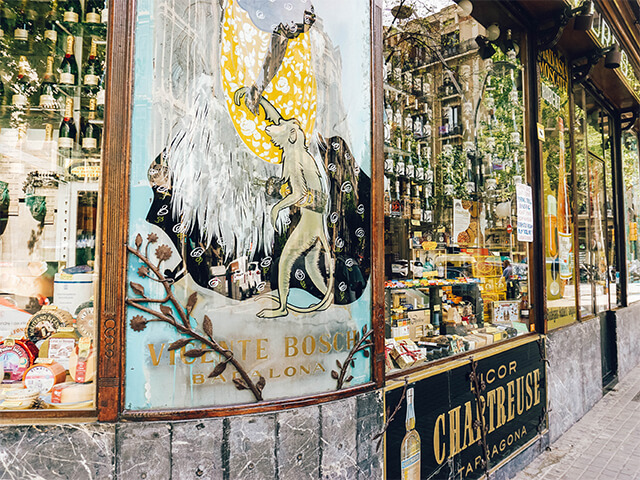 This artisan food store dates back to 1898 and is specialized in Catalan and international gourmet products such as artisan cheeses, iberian ham, foie, caviar, smoked fish, oils, coffees, canned delicacies, wines and champagnes, all sourced from sustainable producers. Joan Múrria and his team of gastronomic experts provide personalized attention when advising their customers. Among his clients are dozens of personalities from the world of politics, theater and even royalty such as Harrison Ford, the leader of the PSUC, Antoni Gutiérrez Díaz, and even of the Princess Alexia of Greece. Wawas Barcelona is a refreshing and innovative souvenir shop created in 2002 by sisters, Anna and Silvia Franquesa. 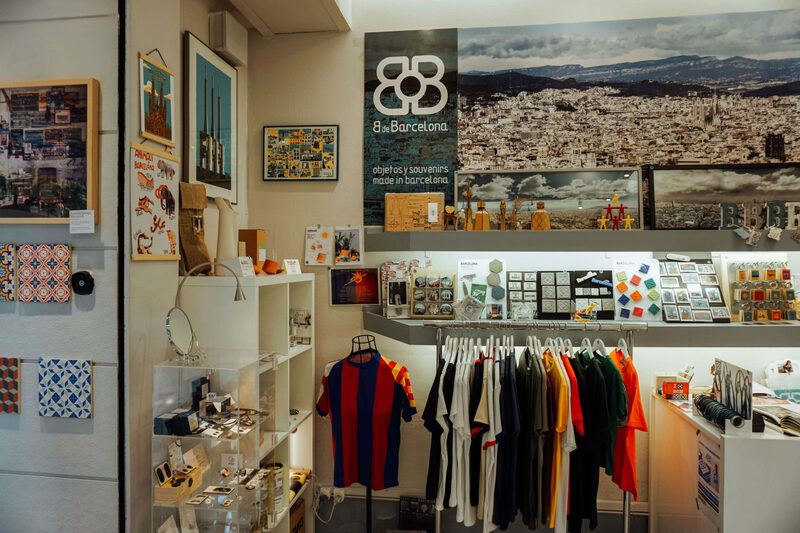 In the store you can find bags made from recycled Demano banners, aperitif sets of Cha Cha, decorative vinyls by Chispum and a wide range of Lomographic cameras for photography lovers make their own postcards of Barcelona, ​​among many others. 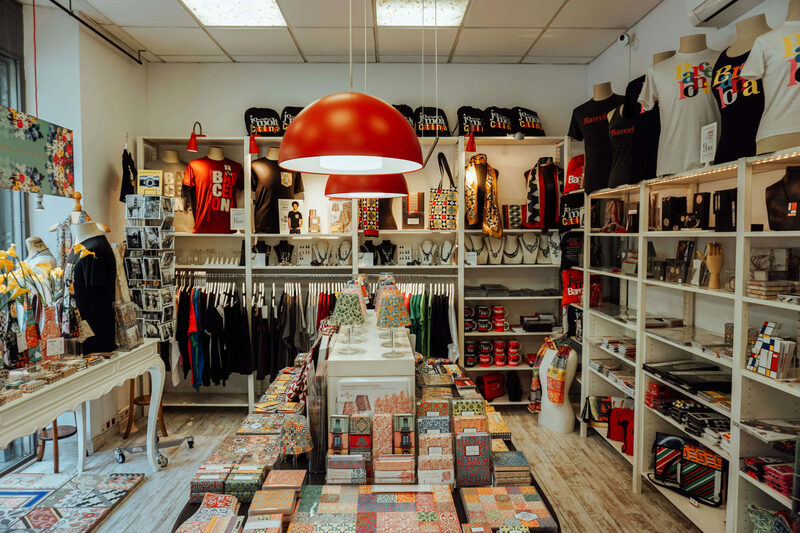 While the popular Xocoa chocolate bars, tapas cookbooks and original Catalan T-shirts represent the shop’s focus on souvenirs made in Barcelona, Wawas is primarily known for its own line of postcards featuring every day and unusual views of Barcelona. El Diluvio Universal is an illustration, graphic design and art gallery, studio shop combo. Behind El Diluvio Universal stand graphic designer Xavier Labrador and illustrator Elisa Munsó. 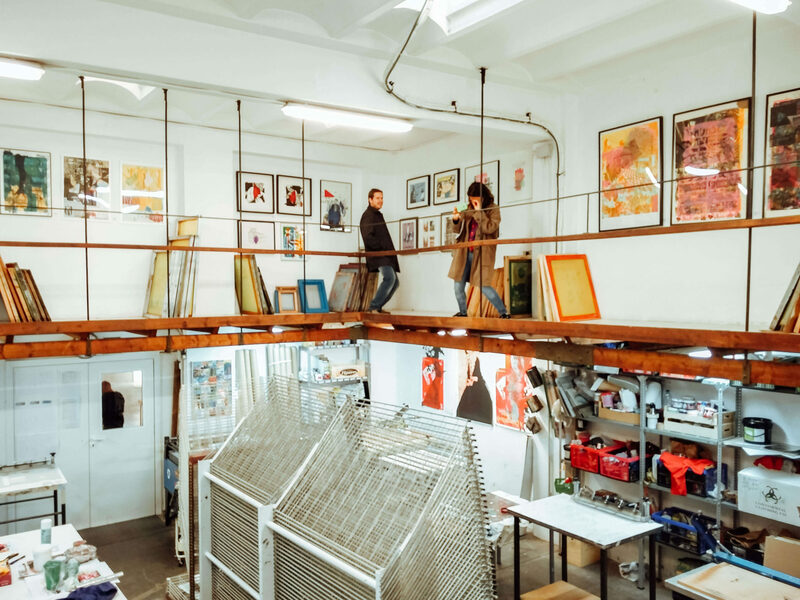 The project began as a small publishing label where personal projects are published and in September 2013 it was expanded, opening the doors of the space, in the bohemian neighborhood of Gracia in Barcelona. Today you can find creative graphic products from small self-edited editions and fanzines, to original work of all formats, illustrated plates, screen prints, calendars, postcards and other items, related to the art. You can also find a different exhibition each month. Les Topettes are Lucia and Oriol, a young couple who have always been passionate about the world of personal care and dreamed of sharing this passion with others. After working in different professions for several years they decided to make their dream a reality and opened Les Topettes, a place where one can find alternatives of the big manufacturers and receive personalized care. The boutique offers clients a variety of brands: from the most classic to the most innovative and trendy. In Les Topettes, you can find perfumes, soaps, creams, candles and toiletries. All made from high-quality raw materials that are environmentally friendly. Here you will not find any of the typical souvenirs that are elsewhere. All products are designed by local creators and are limited editions. The vast majority of the articles are inspired by Barcelona. You will find postcards, but not the typical ones that you would imagine: in polaroid format of 4PHOTOS or with original illustrations of the most representative elements or monuments of the city. Super original shirts inspired by Barcelona, candles with the smell of potato omelette, ‘pa amb tomáquet’ or stuffed olives. Anti-theft bags designed in Barcelona by Urbanita. Modernist-inspired hydraulic tiles typical of the stately flats of Barcelona’s Eixample for decorative use, or for coasters or to serve tapas. Creators Lu Bartolomé and Estela Portalés opened OMG BCN in 2013 following a brief trip to New York. Their dream was to fill the shop in the Born neighborhood with inspiring and locally made products. 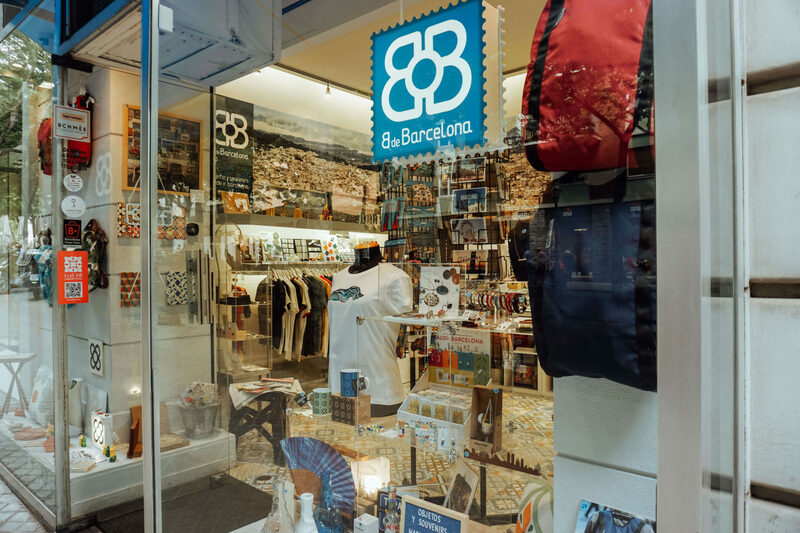 In the store they offer an eclectic array of fashion, jewelry and home furnishings, all designed and made in Barcelona. From simple BCN mugs to funky faux taxidermy, this place is a must if you’re looking to bring a bit of the Barcelona into your home. Since 2015 they also have an online shop. Barceloning or in Spanish -“barcelonear” means to know the city through its urban landscapes, through those details that make it unique and different, that define it and make it an open, cosmopolitan and modern Mediterranean city. The team that stands behind it love to discover and share these landscapes, to turn them into beautiful objects that represent Barcelona. Their goal is to design and produce objects that define our concept of Barcelona. Distinctive objects and attractive designs on which they identify the city by focusing on iconic elements such as Trencadís, Modernista tiles and Panots.